Being the third-largest city in the State of Kansas, we are constantly inspired by the beauty and grandeur of Kansas City, KS. It features several neighborhoods and is known for having a distinct cuisine, especially when it comes to barbecue. Inspired by everything distinct in this beautiful city, we at Kansas City Concrete Artisans make sure that we provide exceptional service that surpasses customer expectations. 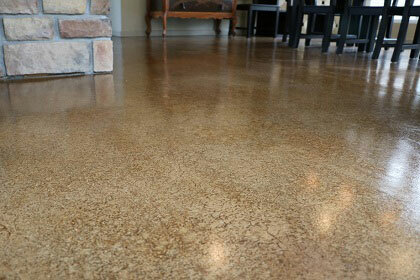 Every concrete surface we work on is a reflection of over 20 years of skill and experience that we acquired. We want nothing more than to improve the quality of life. Your life. 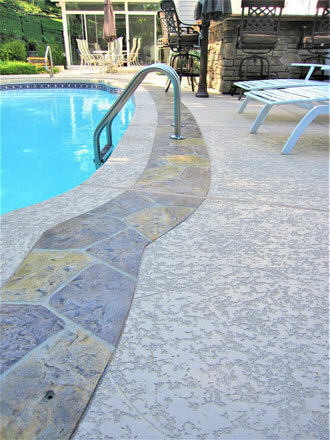 20+ Years of experience – Kansas City Concrete Artisans is the premier source for decorative concrete solutions. Distinction is also something we are aiming for. Our excellence sets us apart from other contractors. We are committed to providing exceptional decorative restoration solutions that look good and lasts long. 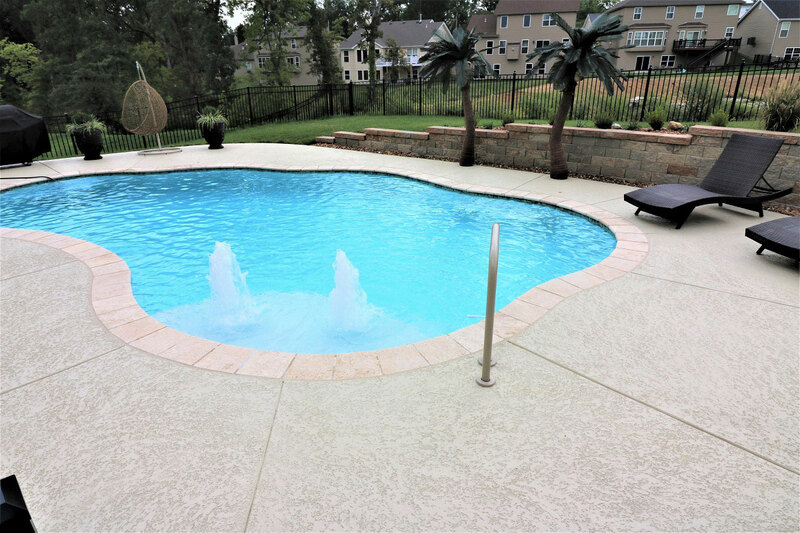 We specialize in concrete patios, pool decks, driveways, interior floors, and more in residential and commercial locations in the Kansas City, KS area. Recreating your living spaces takes vision and expertise. Be sure it is done right the first time. We want nothing more than to give property owners all the answers they need regarding slab repair and restoration. Licensed, Bonded & Insured. We aim to make each and every project as risk-free and as stress-free as humanly possible. 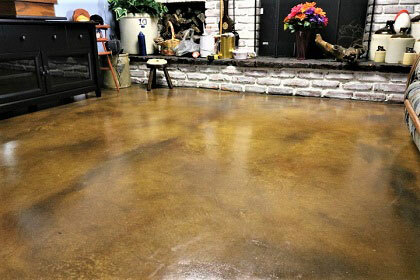 You might think that the only way to improve your concrete spaces is by installing new slabs. We present options that can make the most of what you have now. 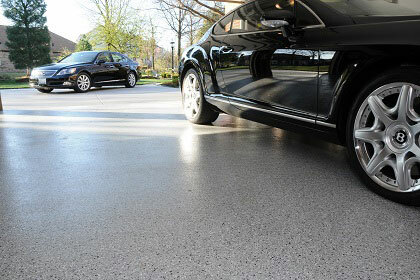 Resurfacing with concrete overlays and coatings to replace the old, weak one that your concrete space has now. 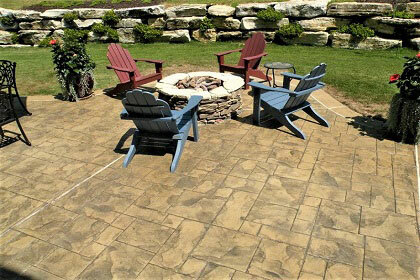 Stamped overlay is popular for use on outdoor surfaces like the patio, pool deck, driveway, walkway, and more. 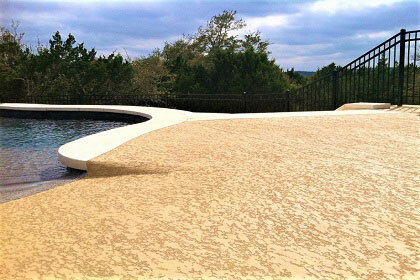 Spray knockdown texture is another coating that is used more for pool decking and other outdoor surfaces. 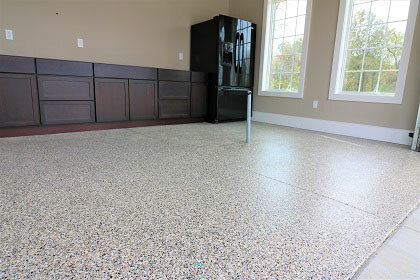 Epoxy flooring and Polyurea polyaspartic are similar coatings that are popular for use on garage and basement floors. 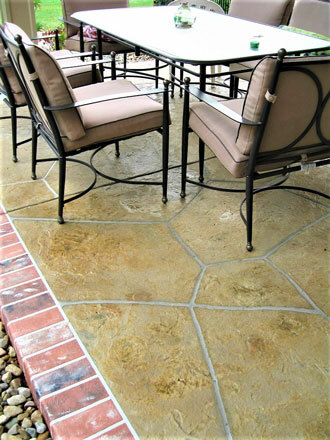 Renewing the finish with concrete stains and sealers will immediately enhance the look of a slab while hiding any blemish or discoloration. Gives us a call now for a no obligation, no risk consultation. Call (816) 307-0325 today for a Fast Free Quote! Spray Knockdown Texture is a versatile and durable concrete finish applied as a splatter coat to create a textured, slip-resistant surface or “knocked down” with a trowel to create a smoother finish. 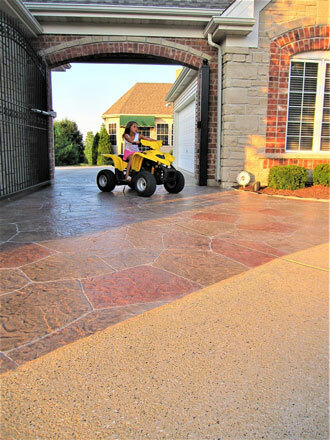 The cooling and slip resistant features makes it a perfect option for driveway, patio & pool deck resurfacing.